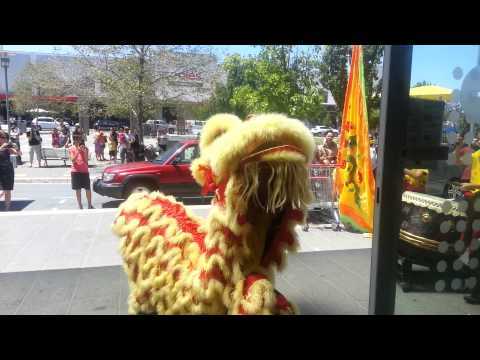 Prosperous Mountain Lion Dance (PMLD) Troupe was formed together by youth in 2007 to become Canberra's first locally-based lion dance troupe. We are a small but growing non-profit troupe who welcome people of all ages and ethnic backgrounds to participate in this fun, physical and ancient traditional art form. We value commitment, teamwork and determination to bring quality performances to Canberra and the ACT throughout the year for all occasions. Many of our members also pursue other forms of dance and martial arts such as Wushu and Wing Chun to improve their strength, rhythm and skills in lion dancing. Do you want to be a PMLDer? Would you like to join us? PMLD trains once a week and up to two times a week leading up to Chinese New Year on Sundays: 3:00pm to 5:00pm. Come along to watch or join in!